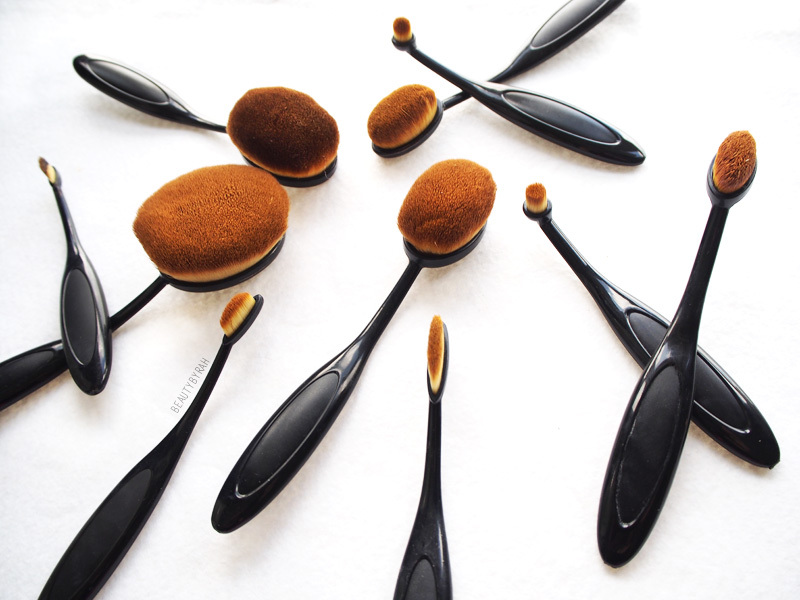 Oval brushes (mainly from the brand, Artis) has taken the beauty world by storm and one can't help but by curious as to how and why it works. These brushes look so luxurious and extremely soft, but then there is the hefty price tag which I can't bear to fork out. Daz expensive. I was recently watching ItsMyRayeRaye on youtube and she busted out these oval brushes which she said ain't bad at all. Of course, I got real excited and purchased it off eBay pretty quickly, as the price was really affordable and I could not wait to try out brushes that looked like, well, luxurious hair brushes. Shipping was pretty quick, less than 2 weeks. My set of 10 did not come in a box, but in a sealed plastic bag. Despite so, the brushes were intact and the bristles were fine. There are no names to the brushes, so I simply labelled them numerically. First impressions when I opened them was : man, these are soft. I showed them to my father (who could not run away fast enough so he had to give his opinion) and he was pretty impressed as well. In fact, he was fascinated by how soft these were (imagine, his eyes as wide as saucers when I told him that these were synthetic hairs). 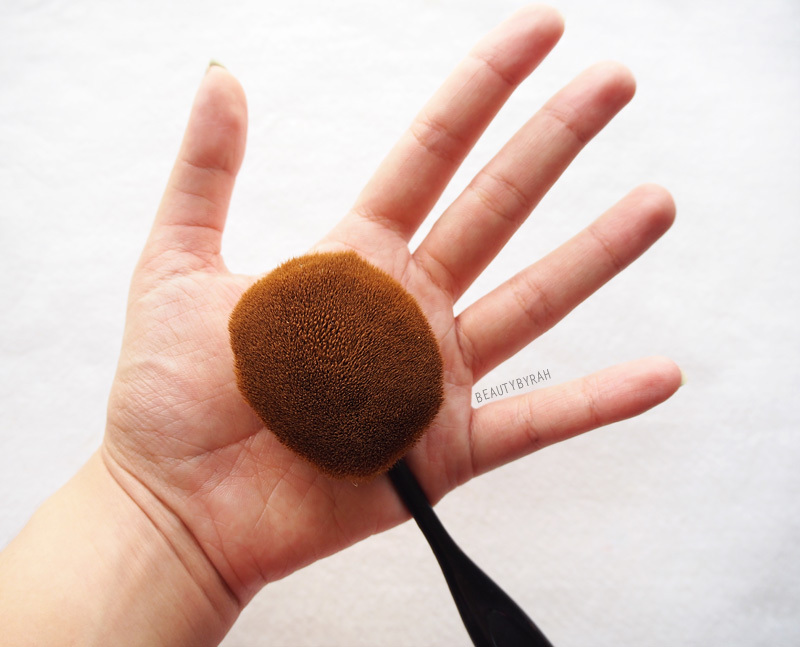 The largest brush is almost the size of my palm! Gave them a nice bath and was pumped to use them the next day. Note, as these brushes are so dense, they do take a pretty substantial time to dry. This is especially so for the largest of the set, which is meant for powder/foundation. That took 2 complete days to dry. Let's start with the brush itself. These brushes come with black plastic handles, so they are definitely not as aesthetically pleasing to the eye as compared to the fancy Artis ones. Despite being plastic, I do find them to be pretty study and they seem to be able to hold up against a good amount of force. 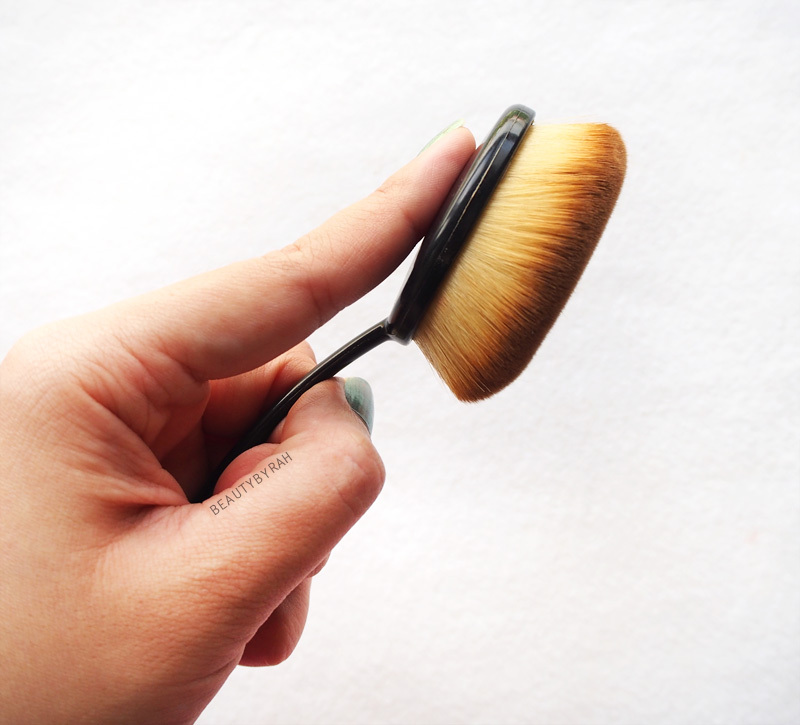 The neck of the brushes are the thinnest, so do be careful when applying product as it might snap (especially the one for foundation as the brush head is heavier as compared to the body). 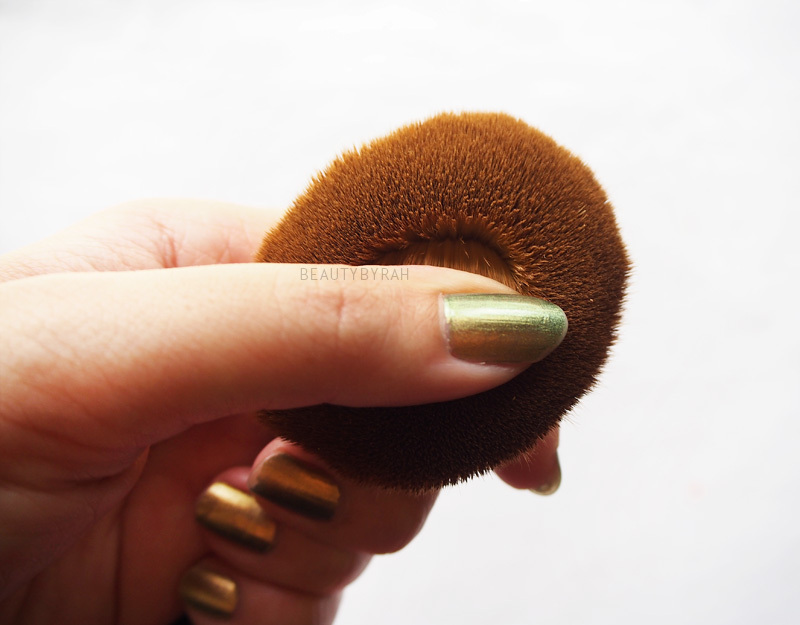 This also gives the brush some give, so that it does not press hard onto the skin during application. The bristles are so so so soft. Even when I was playing the order on eBay, I was not expecting such softness. This made me really impressed and satisfied with my purchase. I spent a good amount of time just rubbing it across my arm and smiling to myself (but that is too much information, ain't it). One thing I noticed (from pictures, as I do not own the original Artis ones) is that the bristles on these eBay ones are domed and convex, whereas the Artis ones look like they are cut straight and flat. Now, let's talk about application. The first time I started using this, I have to say that I was quite confused. It feels slightly awkward and a tad weird to have so many bristles on your face at once. I feel that the best way to use it is to place your second finger on the back of the brush head to steady it while you buff the product in using downward swiping motions. I did notice that there are streaks after the first application and I do find myself going back multiple times to really even out the application and remove any streaks or uneven patches. This took a longer time as compared to a normal kabuki brush or my beauty blender, but it still does get the job done. 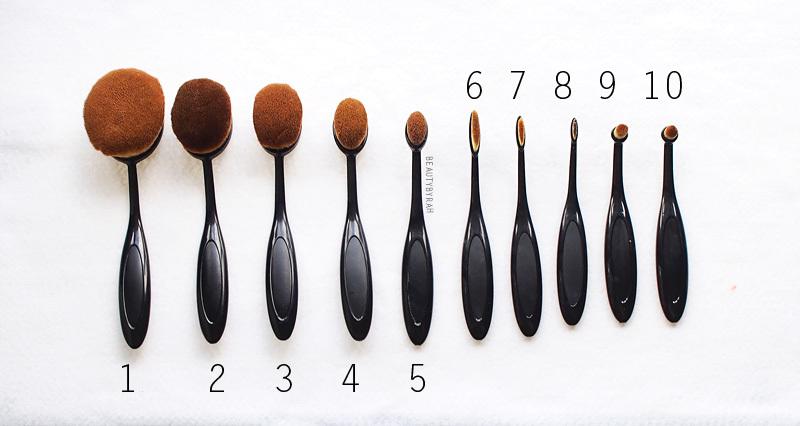 In terms of coverage, I feel because the brush hairs are so dense, the coverage provided is pretty full. I tried adding two drops of facial oil to the brush and attempted to see if it blends better, and viola, it did! I like to use either of these 2 brushes for blending my cream bronzer stick on my skin. It does a great job on that and since the brush head is smaller, it provides a good amount of control for blending. I tried using these for foundation and I hated it as there was streaking and I took a very long time blending everything out as this brush does not have the largest surface area. 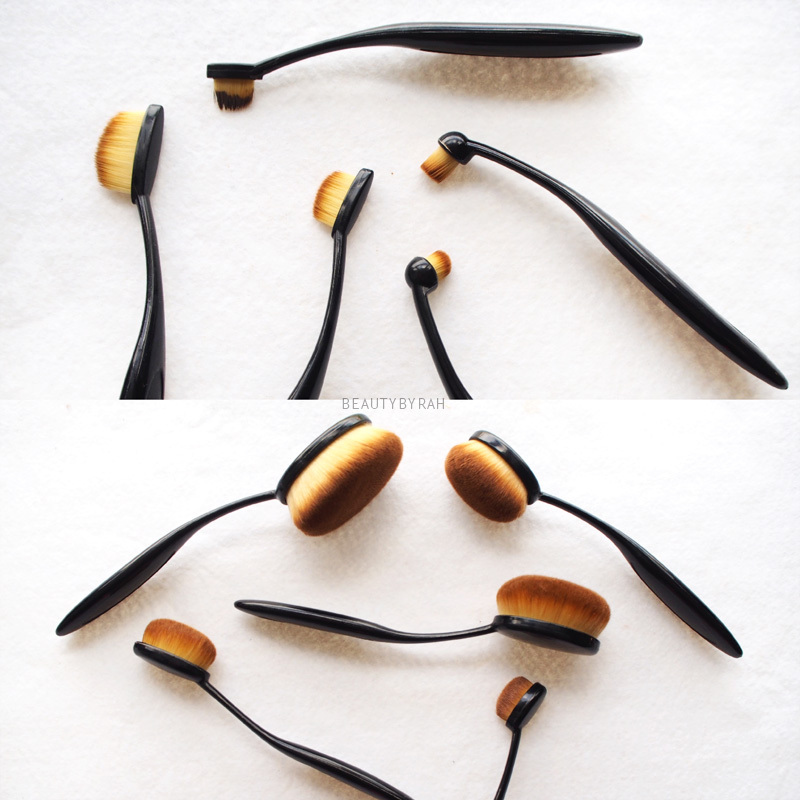 This brush fits nicely under the eyes to blend out any undereye concealers. However, I found that this brush tugs on the skin and it does not do an amazing job in blending it out. I prefer my traditional tapered kabuki brushes much more. I like to use this to apply cream eyeshadow bases or to blend out my eyelid primer as it fits nicely on the lid. It does, once again, tug slightly. Nothing beats using your fingers but since I had this, I need to find a use for it! I can foresee this being a great brush to apply cream or liquid highlighters onto the high points of the face. I did not really experiment with the other 5 smaller brushes as to be honest, I am completely lost as to what their purposes are. I tried brush (8) to apply brow product to my brows and it worked fine, as the bristles are thin and fits nicely. however, there is a lack of control compared to a typical angled brush, and this is especially a problem if you're planning to work with mouses/pomades such as the Anastasia Beverly Hills Dipbrow. I have seen people using brushes (9) and (10) for lip products as well - but I rarely use it since I mostly apply lipsticks in the tube. 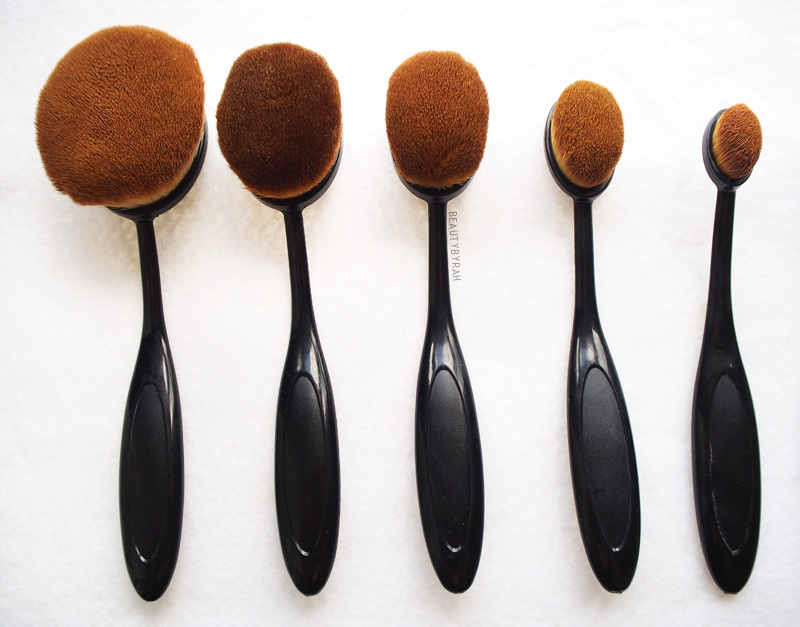 In my opinion, these oval brushes are a cool fad but I think that if you have an existing collection of brushes already, these are something you can give a miss. I have not tried the Artis ones and I know many people's lives are changed by those brushes so maybe another day, when I miraculously become a rich bish. 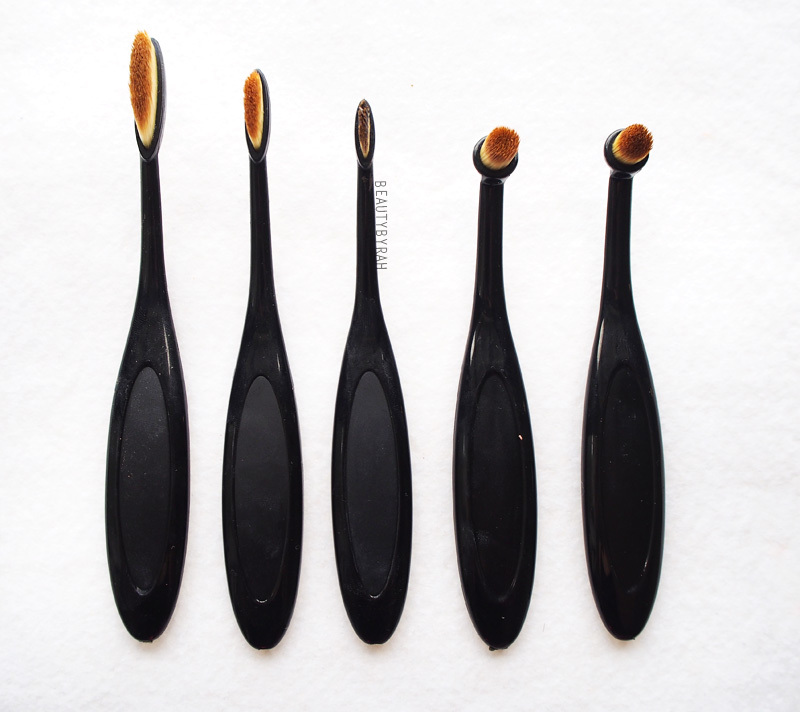 If you're a beginner in makeup and searching for a good, comprehensive brush set that will not cost you an arm and a leg, I highly recommend Jessup brushes instead of these. My full review on that 24 brush set from Jessup can be accessed here. These eBay brushes came in a set of 10 and went for SGD13.50 with shipping of SGD 4. I got mine here but there are multiple sellers with this product as well. Hope this review was helpful and thanks for dropping by! Xo.